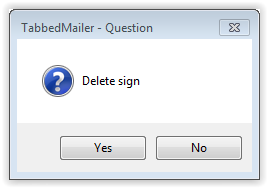 We will remove the signature by clicking on the File menu and then select the option Sign. Then select the right of the signature by clicking once. From the menu on the left side, click on the Delete sign.